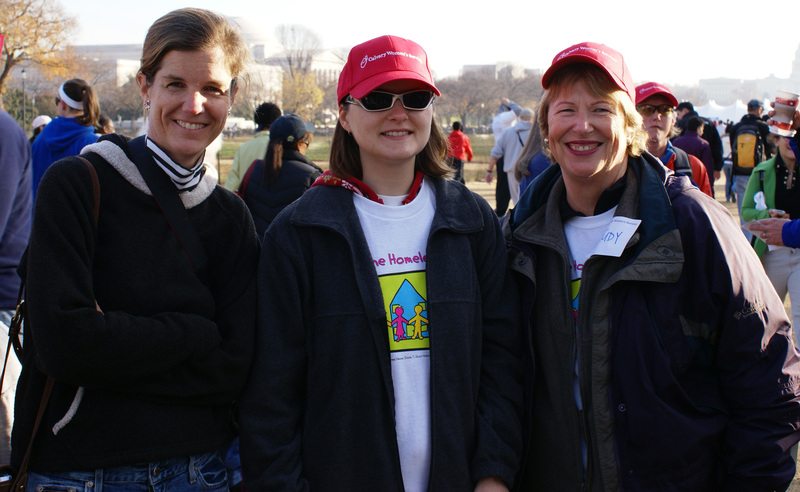 Thanks to all who joined us for the Help the Homeless Walkathon on Saturday. This year marked Fannie Mae’s 23rd time sponsoring this outstanding event to benefit over 130 organizations like Calvary that serve people in the D.C. area facing homelessness. It was a beautiful fall morning for a walk on the National Mall! 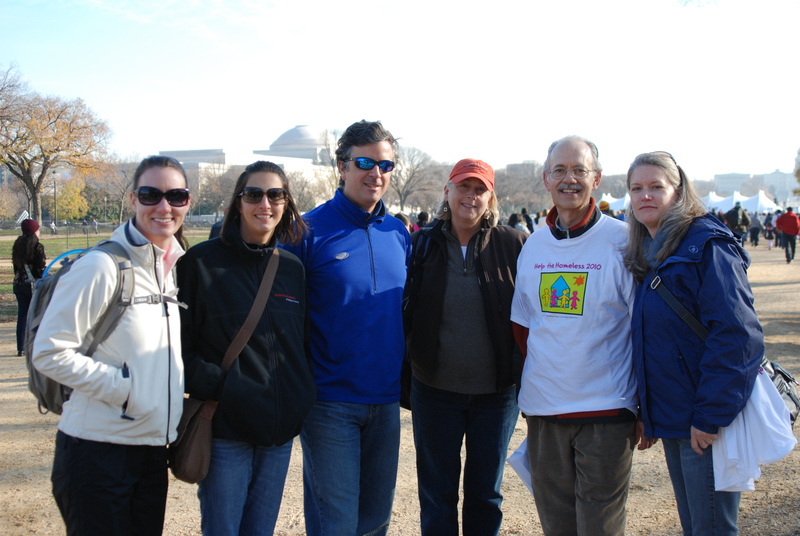 Following Calvary tradition, our team members – volunteers, board members, donors, and Calvary staff & residents – all met at the Carousel on the Mall for coffee, donuts and some catching-up before the walk officially kicked off. Our Executive Director, Kris Thompson, rallied the team before we all headed off for the 2 ½ mile walk through D.C.’s historic downtown. If you’ve been reading the blog lately, you may have gotten to know some of our Calvary Captains. Thanks to the hard work of our Captains, along with the Board of Directors, donors, and other supporters, Calvary Women’s Services exceeded our Walkathon fundraising goals for 2010! We would also like to thank Ernst & Young, Latham & Watkins LLP, Pillsbury, Venable LLP, Watkins Meegan LLC, and Wiley Rein LLP for their generous support in sponsoring Calvary through this event. If you joined us at the Carousel on Saturday, you saw Kris Thompson crown Olivia Devereux the “Walkathon Queen” for leading the Board of Directors’ walk efforts this year, and you also may have heard Kris announce a Walkathon milestone for Calvary. Thanks to a generous gift made through the Friends of Calvary, this is the first year that Calvary has had a $100,000 sponsor through the Walkathon. Calvary Women’s Services also had some great groups walking beside us this year on our behalf! A team from Wiley Rein LLP joined us again this year, along with new additions Mark G. Anderson Consultants and the ACT-IAC Volunteer Corps. The tremendous amount of help we received through the Walkathon from all of Calvary’s friends ensures that our programs can continue to serve women in need in our community, year after year. So, I’d like to say one last Thank You to everyone who joined us on Saturday. 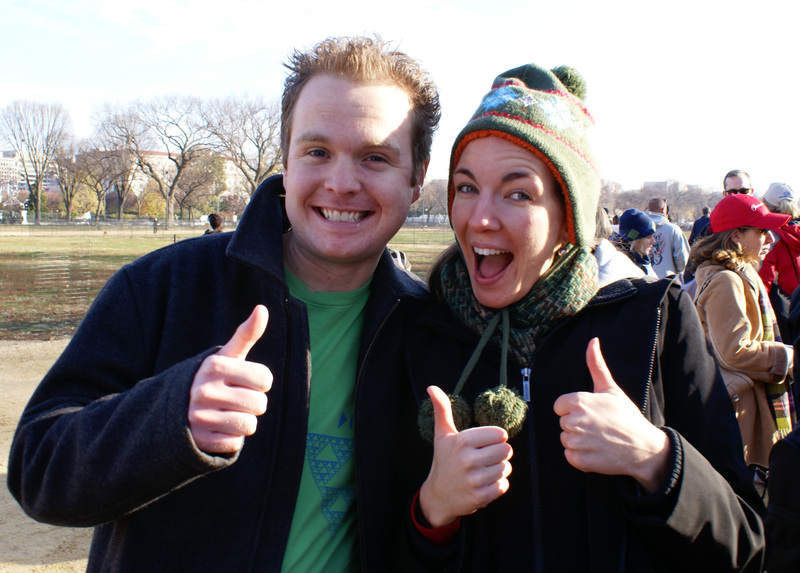 Your fabulous energy and support made for one successful – and memorable – Walkathon this year! Please take a look at the rest of our photos from this past Saturday.